March 28, 2013. About 2+ miles upriver from Tate’s Hell, primitive camp site 7, New River at flood tide. After March, normally, the section of the river from Sumatra (FH 22) to camp site 7 is usually dry, as deciduous trees bordering the river use up the water for their own needs. 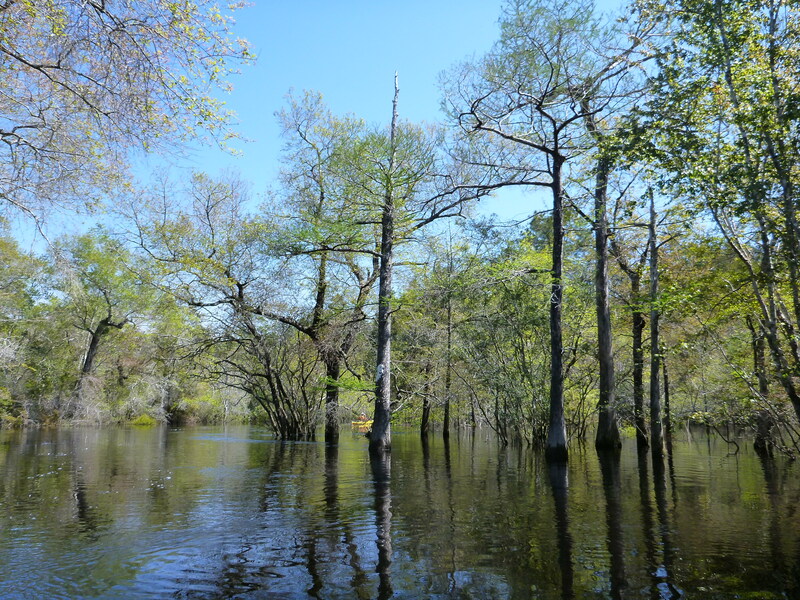 This entry was posted in Camping, Paddling, Tate's Hell, Tate's Hell State Forest and tagged Florida Paddling, Paddling Tate's Hell State Forest, Tate's Hell, Tate's Hell State Forest on November 17, 2013 by marylynanded.